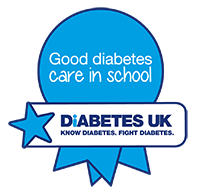 Congratulations to the Good Diabetes Care in School Award holders in the South West, Diabetes UK officially recognises that these schools deliver effective diabetes care and management. View the winning schools in the South West below, and to view the national winner visit ourhonour wall. My daughter has been on three residential trips and loved them! The school ensured the student remained safe and happy in school and were well supported thorugh their diagnosis. We've asked our daughter how the school have treated her and her diabetes; really good, ok or rubbish. She said very good! The school have embraced managing a child with Type 1 diabetes and taken on board carb counting. The day to day care of our son is outstanding. The teachers give our son independence and he is involved in everything! They take him swimming, school trips, kayaking and surfing. The school constantly do their upmost to ensure the students safety, and encourage him to participate in all activities. They are conscientious and always attend training and have managed to take him to two camps with no problems. I felt I had huge support from Swindon Village Primary. They have an excellent team of people. It has been wonderful to observe the improved confidence of the pupils, as they progress through the school with managing their diabetes. My son's dignity has been respected at all times and has been carefully balanced with his social needs as a growing young person. There is a high number of young people with Type 1 diabates in the school and the health care staff manage the intricacies of each individual's care with professionalism, empathy and knowledge. His care needs are consistently met and this is allowing him to thrive within his school day. The school are brilliant at the day to day care of my son. They have done assemblies on diabetes for the rest of these school to understand what diabetes is all about, that involved the three students with Type 1 diabetes. The school has three students with Type 1 diabetes who all use different pumps. The children are treated individually by staff and according to their needs. The school and staff are always accommodating with training and education. Ashleworth is very small school, there are two students with Type 1 diabetes. We feel staff go above and beyond their duty and it is relief knowing we can send our daughter to school where she will be in safe hands and with staff she trusts. For a small school staff were willing to undertake the training and education needed to support the pupil in school. My son is confident to go to school and deal with whatever comes his way, he knows he will always have 100% support and any discussions are made as a team. School to parent communication is great and my son knows he can contact a parent whilst in school when needed. The healthcare assistants have demonstrated a high level of care for the students with diabetes. They often go above and beyond to ensure the students with diabetes can access all aspects of school life. My son was always well looked after at school. There was always a teaching assistants on hand with my son; school trips, football, netball, swimming, rugby. I never had to worry when he went on school camp for a week, as all teachers were aware of my son's needs. They always include the student with Type 1 diabetes and never make it a 'big issue' which allows the students to enjoy school and the different activities. The school staff are always very thorough when it comes to snack time, they count carbs for my son and ensure he is given the correct insulin dose. The school have been amazing at supporting the child with his diabetes; getting all the necessary training and treating him like any other child. School staff have demonstrated a good level of care for the student with diabetes. They ensure that the student can access all aspects of school life. The school have been fantastic in caring for my childs needs and making sure they do all that they can to help him manage his diabetes. The child has been well supported in school immediately following diagnosis and continues to be supported and encouraged in all aspects of school life. Designated staff have received training and demonstrated their competencies to care for a child with Type 1 Diabetes. He has been able to partake in all extra curricular activities and has been well supported, proving that having Type 1 diabetes shouldn't change your life or prevent you from doing anything - it just requires a little more thought and preparation. The school are keen to utilise education to ensure they support their pupil to the best of their abilities. The family say they are extremely supportive and they are welcoming to the diabetes team. Since my daughter was diagnosed, the school has been doing a great job with her care. It's only a small school and there are 6 staff all trained to look after her. She has been able to take part in all school activities, be it day trips or after school clubs, and has even had a residential trip. This was all new and concerning to me when my child was first diagnosed in June 2014. The school had another child with Type 1 Diabetes so I was happy the teachers were already aware of the condition and were already trained. They are supportive in all aspects of diabetes care and have ensured the child is included in extra curricular activities and trips. The day-to-day care my child received at this school is excellent. They take care of his blood testing, work out all the carbs for dinner, give him insulin for his meals, know how to treat hypos and also how to correct if his sugar is high. They give him the opportunity to test in front of others or in private and also encourage him to do it independently. They are providing excelent care and support for the child and his family with his diabetes management. The school staff meets every Thursday and look at his menu. All of my child's needs have been met. Also new teachers have learnt and shared knowledge between the staff. Organised staff, well informed and well read. Supportive of each other. King Ina Academy have always treated my daughter the same as other children regardless of her medical conditions. They have all shown so much care towards our daughter and us as a family. She has grown in confidence and I feel this is helped by the staff who support her. Allow the child as much as possible not to feel different and respect her views and wishes making life in school with a complex condition a lot less stressful.